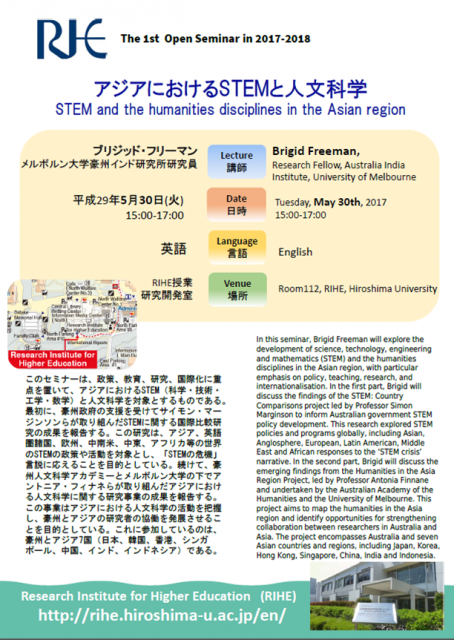 In this seminar, Brigid Freeman will explore the development of science, technology, engineering and mathematics (STEM) and the humanities disciplines in the Asian region, with particular emphasis on policy, teaching, research, and internationalisation. In the first part, Brigid will discuss the findings of the STEM: Country Comparisons project led by Professor Simon Marginson to inform Australian government STEM policy development. This research explored STEM policies and programs globally, including Asian, Anglosphere, European, Latin American, Middle East and African responses to the ‘STEM crisis’ narrative. In the second part, Brigid will discuss the emerging findings from the Humanities in the Asia Region Project, led by Professor Antonia Finnane and undertaken by the Australian Academy of the Humanities and the University of Melbourne. This project aims to map the humanities in the Asia region and identify opportunities for strengthening collaboration between researchers in Australia and Asia. 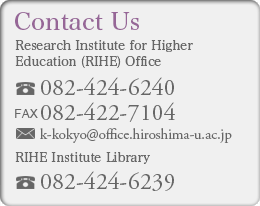 The project encompasses Australia and seven Asian countries and regions, including Japan, Korea, Hong Kong, Singapore, China, India and Indonesia.